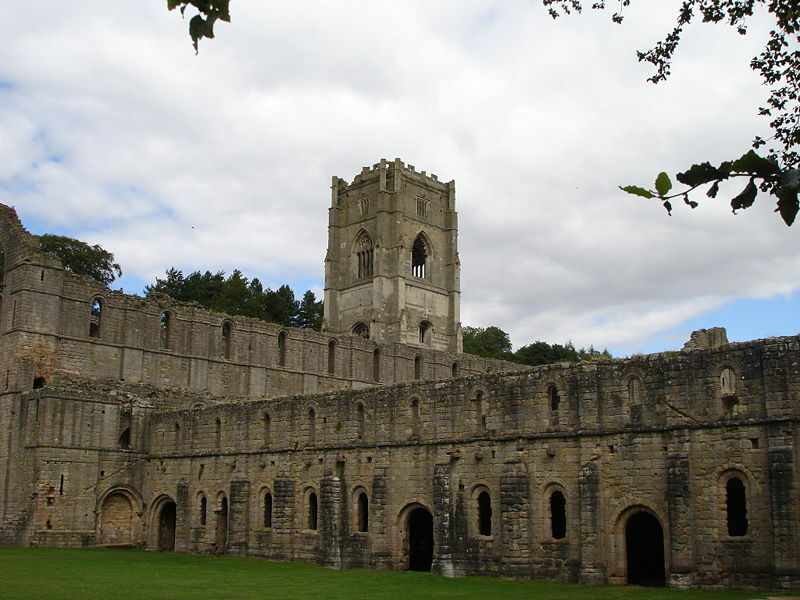 Fountains Abbey is near to Aldfield, approximately two miles southwest of Ripon in North Yorkshire, England. 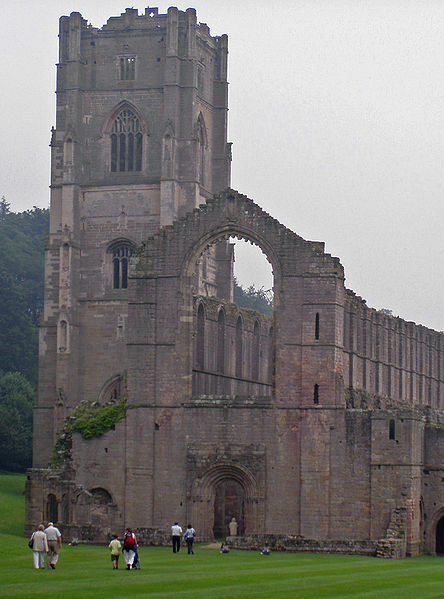 It is a ruined Cistercian monastery, founded in 1132. 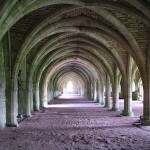 Fountains Abbey is one of the largest and best preserved Cistercian houses in England. It is a Grade I listed building and owned by the National Trust. Along with the adjacent Studley Royal Water Garden, it is a UNESCO World Heritage Site. 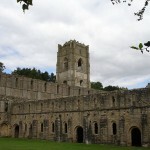 Fountains Abbey was founded in 1132 following a dispute and riot at St Mary’s Abbey in York. Following the riot, thirteen monks were exiled and after unsuccessfully attempting to return to the early 6th century Rule of St Benedict, were taken into the protection of Thurstan, Archbishop of York. He provided them with a site in the valley of the River Skell. 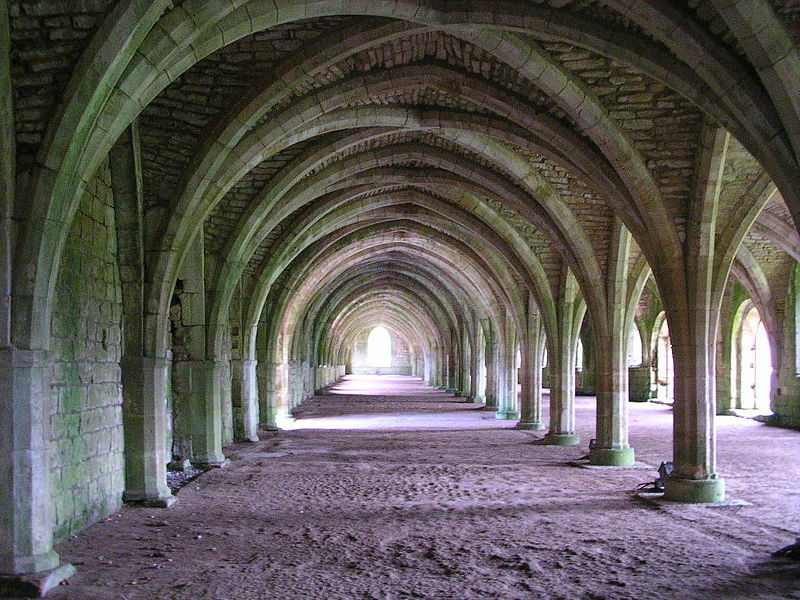 The enclosed valley had all the required materials for the creation of a monastery, providing shelter from the weather, stone and timber for building, and a running supply of water. The monks applied to join the Cistercian order in 1132. Text excerpt taken from Wikipedia: Fountains Abbey. Images from WikiCommons. 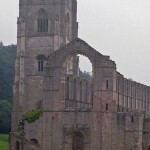 Read more about Fountains Abbey. The Old Hayloft is a holiday cottage let located in North Yorkshire near to Fountains Abbey.